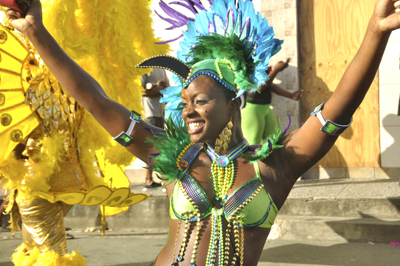 8th and 9th February 2016 – TOBAGO CARNIVAL!!! Experience Tobago’s charming and homegrown version of Carnival – without the big budgets but with all the enthusiasm and colour you could wish for. A real family affair – with children making their costumes for months beforehand and the excitement of a hundred Christmases rolled into one. If loud music wherever you go is not your kind of thing then you may want to avoid a holiday at this time. On the other hand, it’s an experience you’ll never forget and you may pick up some new dance moves! 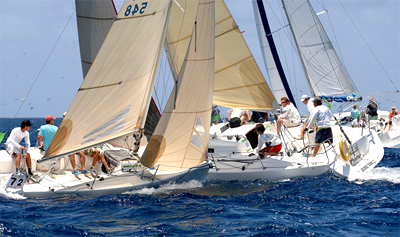 A heady week of partying and yacht racing in four classes. It’s a really popular week, with a Regatta Village set up near Store Bay. Great fun to watch and join in with. Always on Easter Monday – a fantastic Tobago event on the calendar. These races are so much fun to watch, especially given the seriousness of participants and those placing bets! A jazz fest for any music lover – Emile Sande has been a performer in the past, and this year has another impressive line-up – including David Rudder and J Cole. Hawksbill, Green and the magnificent Leatherback turtles all lay their eggs on Tobago beaches, with the hatchlings emerging about 60 days later and waddling as fast as they can towards the sea. There are special guides for turtles watching and your hotel or accommodation owners will be keen to help you or even wake you at your request to go and see a turtle laying her eggs. Conservationists are campaigning to get better protection and care for these wonderful creatures, so if you are lucky enough to see one, do follow the guidelines given. A good place to start is SOS Tobago. The 2016 Massy Rainbow Cup is an International Triathlon held in Tobago. Competitors come from all over the world. There’s a Sprint Distance Triathlon, an Olympic Distance Triathlon and many other events such as a 5k Run, Team Relay Triathlon and Kids Triathlon events all in one day. Once all the serious business is over, the party begins with the “Post-Race Pre-Party Party” followed by the Real Party on Saturday Night. Relax or play beach games at the “Beach Olympics” Beach Lime on Sunday afternoon. 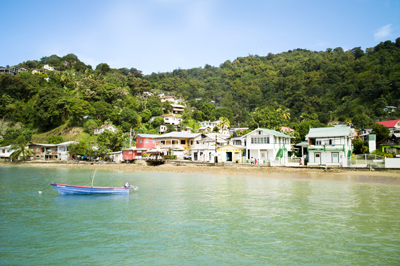 Travel up the island to Tobago’s small fishing village of Charlotteville. During the last week of June, this sleepy hamlet comes alive with its annual Fisherman Festival. The event started as a celebration of St Peter, the patron saint of fisher-folk. The fun filled weekend kicks off with a BBQ followed by a street party where you can strut your stuff until dawn! 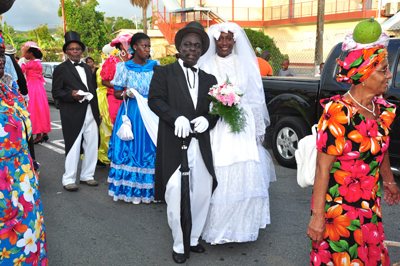 A real Tobago delight to see – including your chance to to be part of a 18th-century-style wedding procession. It’s the premier cultural event in Tobago, with a new theme every year. The festival is dedicated to preserving the cultural traditions of the people of Tobago, taking you to different villages for dances, food, music, storytelling and other must-see traditions. This is a major event that draws people to Tobago in droves. It’s a speedboat race of about 115 miles from Trinidad to Tobago, taking about 3 hours — with the ultimate beach party – of course! Tobago’s Blue Food Festival celebrates the use of local root crops, particularly the blue coloured ‘dasheen’. The festival takes place at the historic Bloody Bay and is a truly unique culinary experience. ‘Blue food’ covers any Caribbean root crop like sweet potato, cassava, or yam. 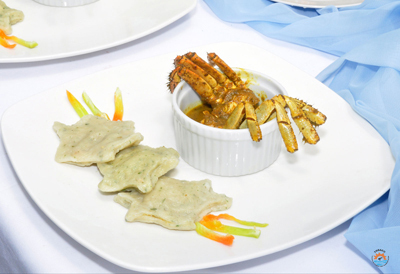 This is your chance to taste some traditional and delicious Tobago cuisine. So what’s the weather like in Tobago? Can I get a flight? How about a villa? Or hotel?